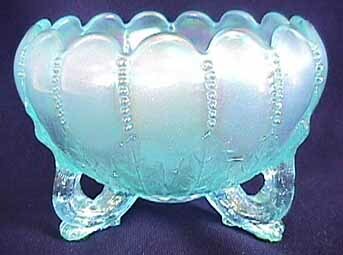 These ice blue and ice green rosebowls (with plain interior) are rare colors in Leaf and Beads. 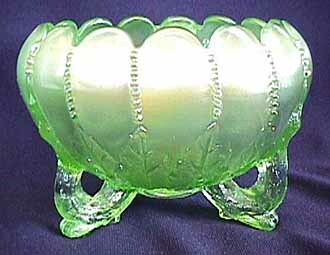 They sold at the 2003 International Carnival Glass Association auction. The ice blue brought $1,000, the ice green $1,500. Photos courtesy of Seeck Auctions.